Back in 2016, insurance firm AXA found itself in a bit of hot water with its employee engagement levels. Significant changes in its business structure had alienated employees and created a rift between the bottom line and management – with some disgruntled employees arguing that the business only cared about its customers. With an immediate engagement crisis on their hands, AXA had to act fast to re-energise their employees’ connections with the company. In an unusual move, they distributed bespoke Valentine’s Day-themed cards asking employees to reveal one reason why they enjoyed working at AXA, and one thing they’d change. 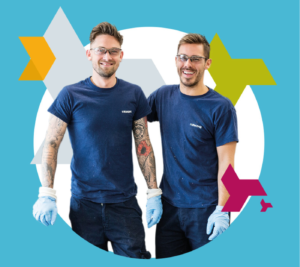 They then used the insights gathered to structure a one-off, organisation-wide event that utilised imaginative content to demonstrate just how important their employees were to the business. This is a perfect example of an organisation getting creative with an internal comms campaign. 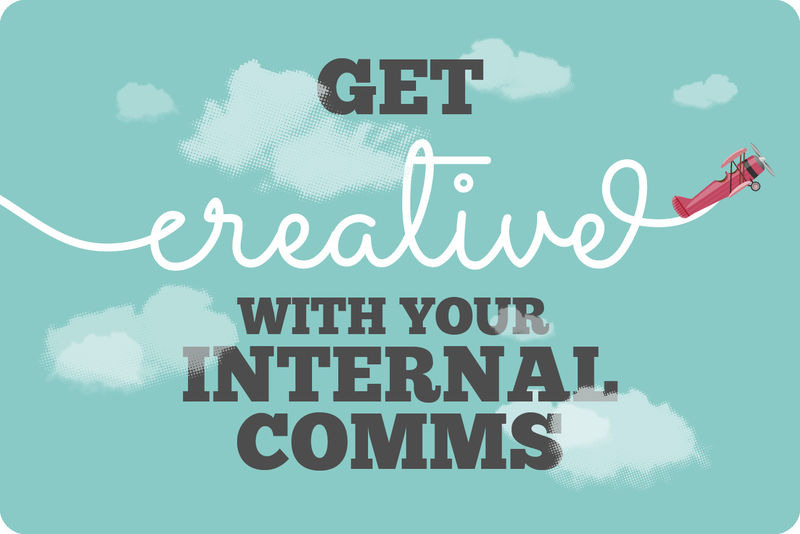 Why should I get creative with my internal comms? 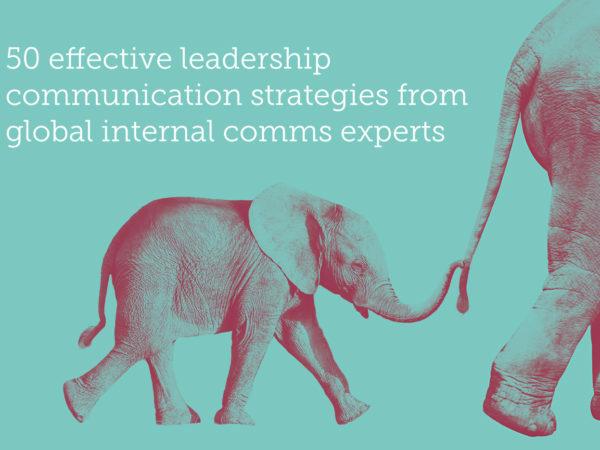 You could be asking yourself – do internal comms really need to be creative to make an impact? Surely what matters is the message being communicated – not how it’s told? Of course, the message absolutely matters. Without one there’d be nothing to communicate in the first place. And a bland, uninspiring message simply won’t cut the mustard with employees. But that doesn’t mean you can’t be creative with how you communicate it. 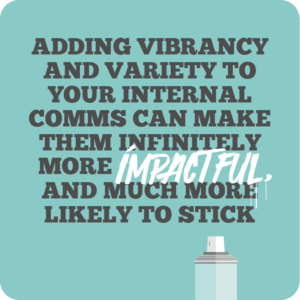 Adding vibrancy and variety to your internal comms can make them infinitely more powerful, and much more likely to stick. Grabbing the attention of employees – wrapped up in their hectic schedules with little time to lend to taking in content – can be a tough nut to crack. Luckily, the modern communicator has a lot of scope to imbue their internal comms campaigns with creativity, flair, and imagination. You just need a solid idea, which fits the message and provides the most immersive, powerful experience possible. As well as a bit of audacity to stray from the tried-and-tested – and embrace alternative, unusual strategies and techniques. And in case you’re still in doubt – AXA’s interactive, people-centric event went down a storm with their employees. 91% cited it as a valuable use of their time, and the organisation saw a 13-point increase in response to the statement ‘I believe management will act upon feedback’. With this in mind, we’ve hand-picked 7 uniquely creative internal comms ideas that will really boost your employee engagement, and the interaction with the messages you’re trying to get across. We’ve taken inspiration from wildly successful marketing campaigns, what other organisations have been doing successfully in their internal communications, as well as creative and innovative IC projects we’ve worked on for clients here at H&H – which have seen exceptional results. An inventive combination of written communication and exciting visuals is a great way of making a message stick with your audience. We retain 65% of visual communication – as opposed to a mere 10-20% of written. As the saying goes, a picture is worth a thousand words! 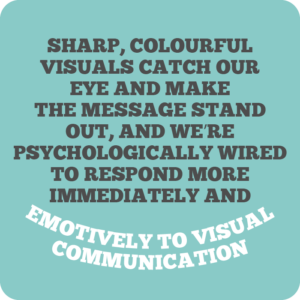 Sharp, colourful visuals catch our eye and make the message stand out, and we’re psychologically wired to respond more immediately and emotively to visual communication too. So if you want employees to take note of your internal comms – using evocative and memorable visuals is a good starting point. Imaginative visuals are something that our talented creative team are well-versed in. 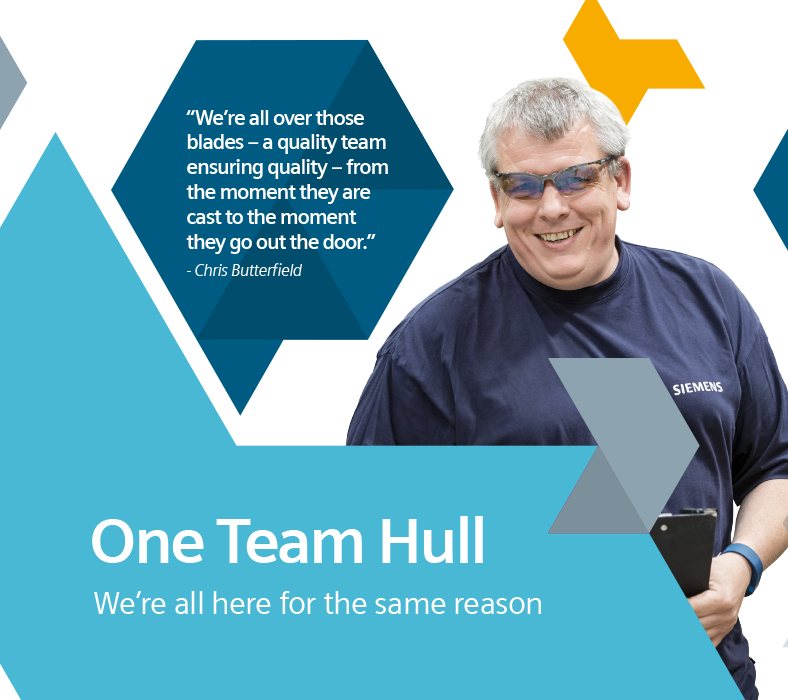 A good example would be when we helped Siemens to bring their brand-new culture to life for their 1000+ employees at their new Hull factory. We captured inspiring, personal insights from the employees themselves which our creative designer Rosie used to create some truly inspiring graphics and wall designs. These were displayed around the factory to provide a fully immersive and inclusive on-boarding for the new workforce. And the feedback spoke for itself. The new employees were welcomed by a suite of creative visual designs which made them feel right at home. 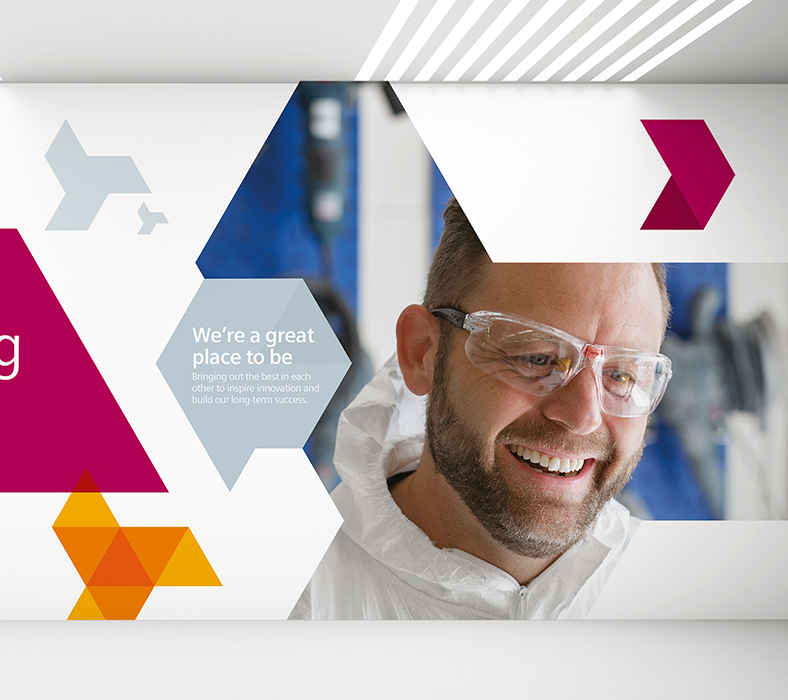 Find out more about our inventive and exciting visual approach to Siemens’ employee engagement challenge. When we say ‘Guerrilla’-style tactics, we don’t mean sneaking up on employees at their desks and bellowing messages down their ear through a megaphone (although that would certainly sit under the ‘creative’ definition). What we do mean is devising exciting, surprising techniques for communicating a message in an unconventional way. Using disruption is a great way to grab people’s attention and stimulate interest and speculation. 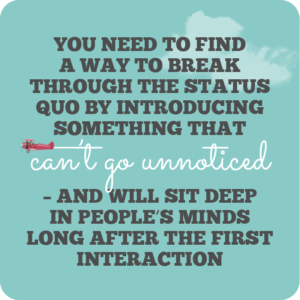 You need to find a way to break through the status quo by introducing something that can’t go unnoticed – and will sit deep in people’s minds long after the first interaction. 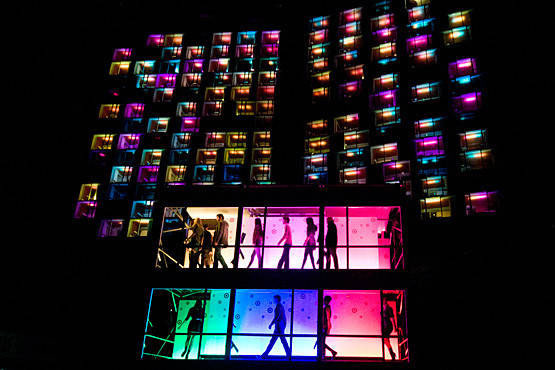 Check out this inventive piece of Guerrilla marketing by American retailer Target, who hired out an entire hotel to stage an impromptu eye-catching light show involving dancers strutting their stuff in day-glo suits and an array of bright, flashing colours. The event attracted some 3000+ spectators, and was broadcast live across multiple social media channels for even more exposure. We also like this impactful, sobering campaign by environmental-advisory company Offsetters, aiming to educate unsuspecting Canadians about the potential dangers of unchecked global warming. 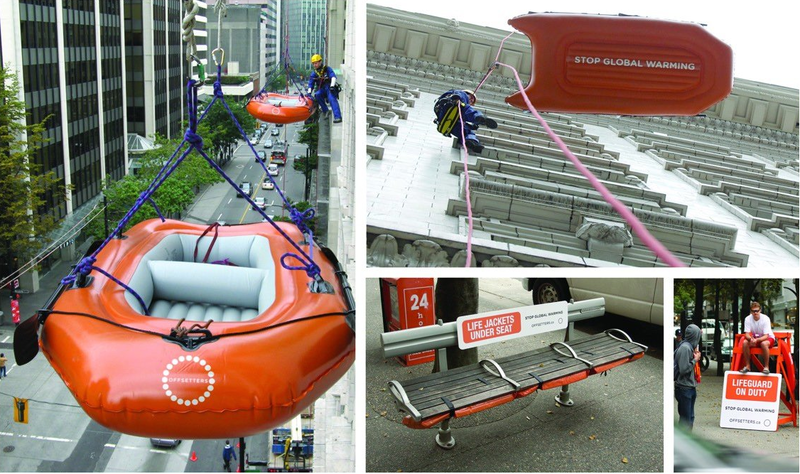 They stationed manned lifeguard stands in city parks, hung life rafts off the sides of buildings, and positioned life jackets under park benches with advisory signs for passers-by. The haunting message – that global warming would eventually flood coastal cities – required little effort and expense, but packed a powerful emotional punch that not only caught the attention of locals, but the national media too. And the execution was tied directly into the message. These two extremely successful campaigns demonstrate how, when done right, Guerrilla communication can be a wholly effective way of bringing messages to life in a unique, impactful way. Perhaps if you’re launching a new product, you could station peculiar comms materials around the workplace with eye-catching details and intriguing hints to pique employees’ interest. Or, if your organisation is preparing to reveal a new strategy, your creative internal comms campaign could be based around a unique, fictional brand avatar– positioning avatars of the character around the workplace in unusual places (be it on posters, on the intranet, or maybe even on cardboard cut-outs) to tease the unveiling of the strategy. 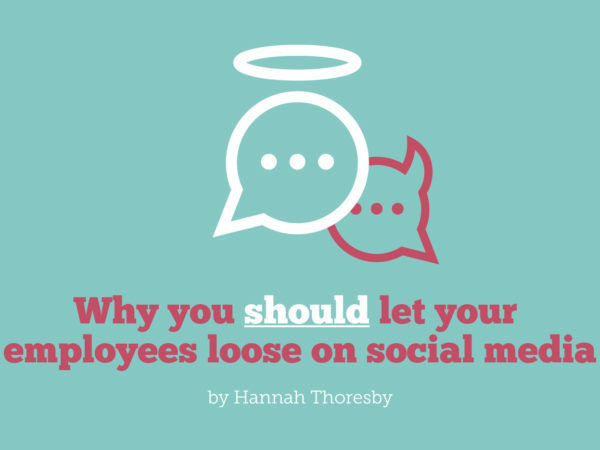 Tactics like these are bound to attract attention, and get our employees invested in finding out what’s going on. When devising internal communications (particularly around serious subject matter like rules and regulations, or an organisational restructure), it might be tempting to give them a similar serious, formal tone to fit the message. Now there’s nothing wrong with this per se – if it aligns with your brand or the context, then it might well be the most suitable option – but it’s not very engaging or inspiring. We are human after all, and we enjoy talking to other humans who sound and act like us. 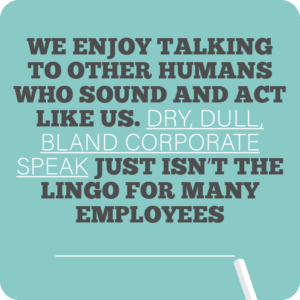 Dry, dull, bland corporate speak just isn’t the lingo for many employees. If you really want people to sit up and take notice, you need to speak to them in their language. And that simply means making your communications more human. Of course, the most ‘human’ internal comms can get is when they involve face-to-face interaction. But this isn’t always possible. We think a compelling alternative is to create a ‘human’ persona from scratch. This persona could be a fictional brand avatar that crops up throughout the communications associated with a particular campaign. They guide the structure of the messaging, use informal, colloquial language, and act as a consistent, accessible touchpoint for employees. Most importantly, they have conversations with them. The concept of employees having ‘conversations’ with a made-up character might sound a bit off-the-wall, but it works – and we’ve got the pudding to prove it. Telecommunications company Millicom came to us for help in communicating their revised codes of conduct. So we created the character of Millie, who became the friendly face and voice of the campaign. Employees could ask her questions, engage with information provided at leisure, and most importantly – stay calm and relaxed while organisational regulations were updated. It put a face to the changes, and humanised the communications. Creating brand characters brings an organisation down to Earth and provides that extra human dimension through which to form emotional connections. We created a brand-consumer avatar for our instant-feedback tool Push, in the form of our little orange friend Paul. Paul gives a friendly face to Push, and helps to guide you through the interface when you use the app. You can even find out how much of a nice person you are by pushing him either into fluffy pillows or painful pins on the website’s homepage. Why not give it a try for yourself? Something that’s becoming increasingly popular in workplaces around the world for enhancing learning and teamwork capability is the concept of gamification – imbuing ordinary, real-life scenarios with conventional gaming elements. And it’s not without good reason – research has shown that it leads to increased performance and drive, and the majority of employees actually think it would make them more productive. So why has gamification suddenly become so popular? Doesn’t it depreciate the value of our work, and make it frivolous and superficial? Not at all. Bringing a sense of play into organisations can enhance performance, improve learning retention, and increase engagement – as well as bringing teams closer together and breaking down restrictive professional barriers. The science behind the potential of gamification is simple. When we’re engaged in competitive to-and-froing with fellow players, it ignites our desire to come out on top. We want to slide up all the snakes and avoid tumbling down the ladders. We want to muster up our inner Sherlock Holmes to discover whether it really was Colonel Mustard, in the Billiard Room, with the lead piping. This insatiable drive to win engages us in the game right from the off. Meaning we’re more engrossed in the task at hand, more likely to remember information, and more likely to have fun while doing it. 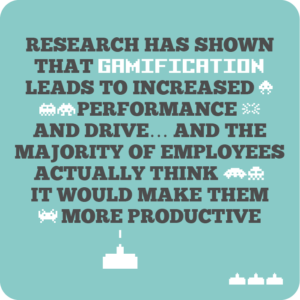 But workplace gamification can encompass far more than just standard board-game style activities. Perhaps you want to introduce a new communication and collaboration tool to your employees (let’s say, a mobile intranet). You could consider devising a ‘scavenger hunt’-style game to encourage them to hunt for random ‘clues’ around the platform, exploring and utilising its different features so they become familiar with it. Or maybe you want to test employees’ knowledge of the organisation’s brand, and encourage them to get more hands-on in engaging with it. Then why not craft a fun, interactive quiz about the brand’s values, history, and purpose, with the incentive of some sort of enticing prize for the winner? The idea of hosting workshops might not sound all that creative. However – it’s what you do with them that counts. 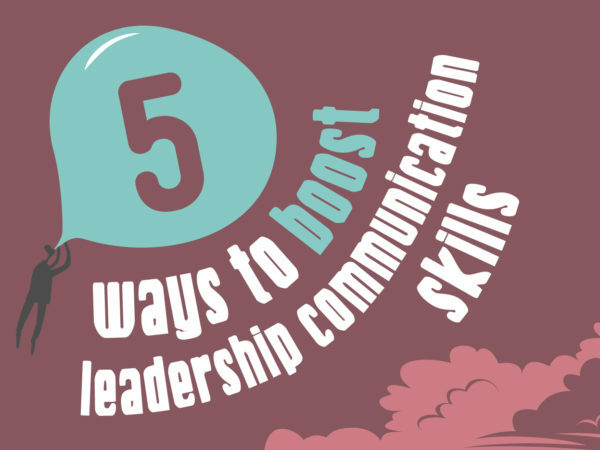 Workshops are a great way of communicating messages because they tick the vital box of constituting a form of face-to-face communication, considered to be the most effective by the majority of internal comms professionals. And if you make them as interactive, interesting and inventive as possible, they can be a boon for employee engagement too. Of course, it doesn’t have to be just a bunch of employees and a manager sitting in a room talking for an hour (although we do have some handy resources that would make a session like this a breeze). 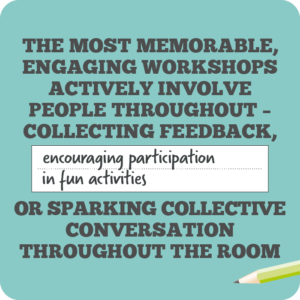 The most memorable, engaging workshops actively involve people throughout – collecting feedback, encouraging participation in fun activities, or sparking collective conversation throughout the room. The AXA story we mentioned earlier is a great example. 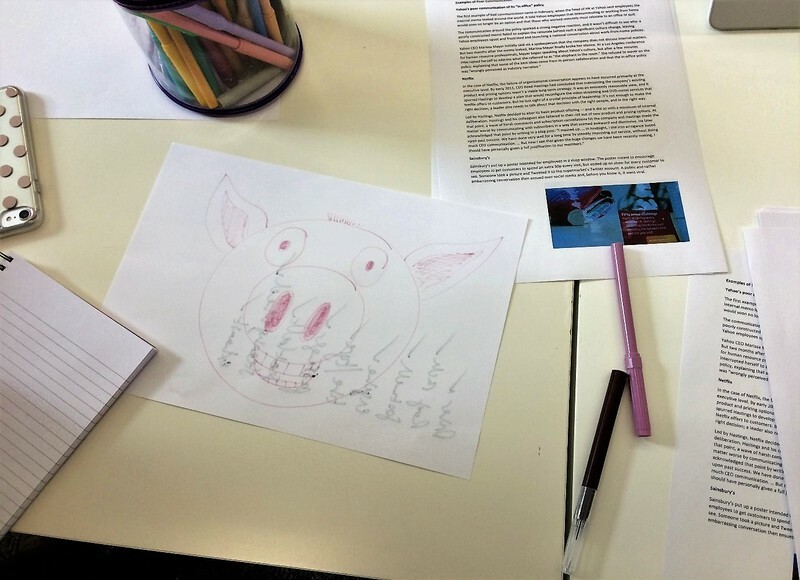 Inventive, compelling presentations are perfect for workshops. You can combine an inspiring story with creative visuals to support your messaging and draw the audience’s eye. Gamification can come in handy here too. It’s something we always bring to our own conferences and events where we want to inspire and delight. 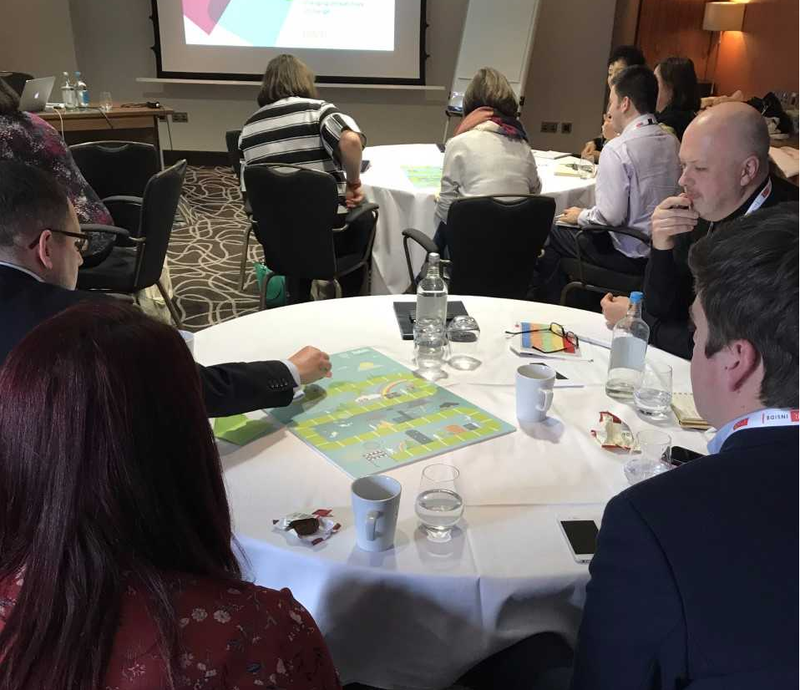 At last year’s CIPR Inside Conference, we used a fast-paced, challenging knowledge test to quiz internal comms professionals on their understanding of change management principles and introduce some new ideas (93% of the attendees rated the session as either ‘Excellent’ or ‘Very Good’). And at the second IoIC Humber Hub (workshops where local internal comms professionals gather to share insights and network) we created an interesting, exciting presentation, which used obscure facts and funny videos to take attendees on a tour of the history of communication. Combining these insights with some fun, unusual activities helped to pick their brains, and get them thinking differently about internal comms. We’ve delivered exciting, informative workshops for our clients too. Back in 2017, DHL found themselves facing a time of unprecedented transformation and challenging circumstances. 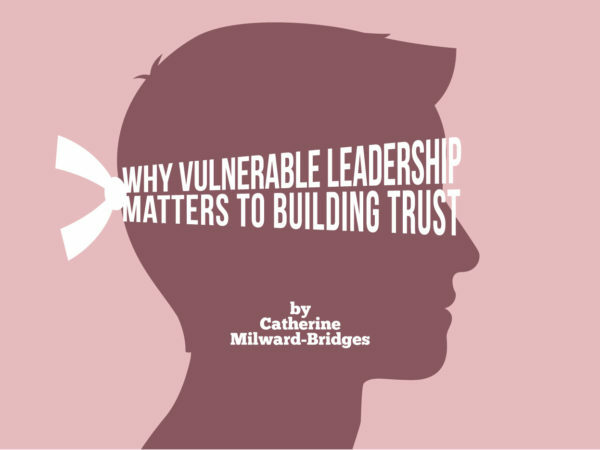 To navigate this treacherous new territory, they wanted to unite their senior leaders behind the need to do things differently – in order to drive their organisation’s continued success. And of course, we jumped at the chance to help them make it happen! We set about creating a ONE team culture for DHL during a one-day conference, aimed at bringing the senior leaders together and inspiring them to make the changes they wanted to see. We created a series of engaging and fun activities, which included a visually powerful presentation concocted by our studio team, a hilarious improv show demonstrating how different communication techniques can capture hearts and minds, and a closing motivational talk by our founder and leadership expert Helen – with opportunities for delegates to share their thoughts and ideas throughout. But was it successful in the end? Had our painstaking efforts paid off? Want to un-boringify your internal workshops and conferences? It’s an exciting time to be an internal communicator. Rapid advances in technology are transforming and revolutionising the communications landscape – and greatly expanding the IC professional’s utility belt. At the epicentre of the technological revolution is Augmented Reality (and no, it’s not just restricted to chasing Pokémon around the garden). While it may still be in the early stages of development, it poses some exciting opportunities for enhancing your internal comms campaign content to offer a richer, more immersive experience. AR makes it easy to integrate different types of content to provide a seamless communications ‘journey’ for the user to follow. 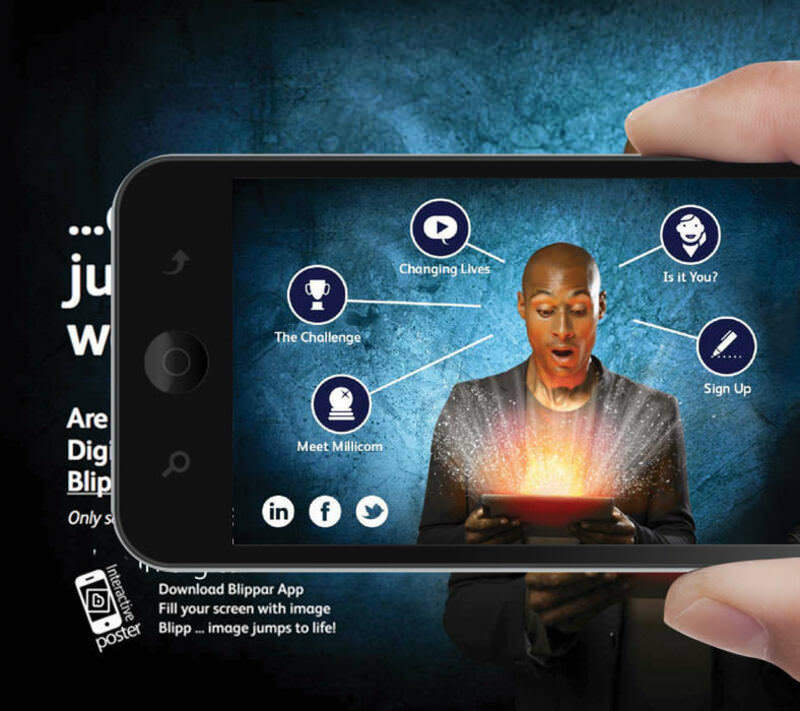 Using AR in this way is beneficial because it enables you to channel your message through a more varied range of media, and keeps the user hooked for longer. 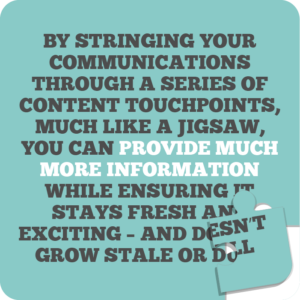 By stringing your communications through a series of content touchpoints, much like a jigsaw, you can provide much more information while ensuring it stays fresh and exciting, and doesn’t grow stale or dull. 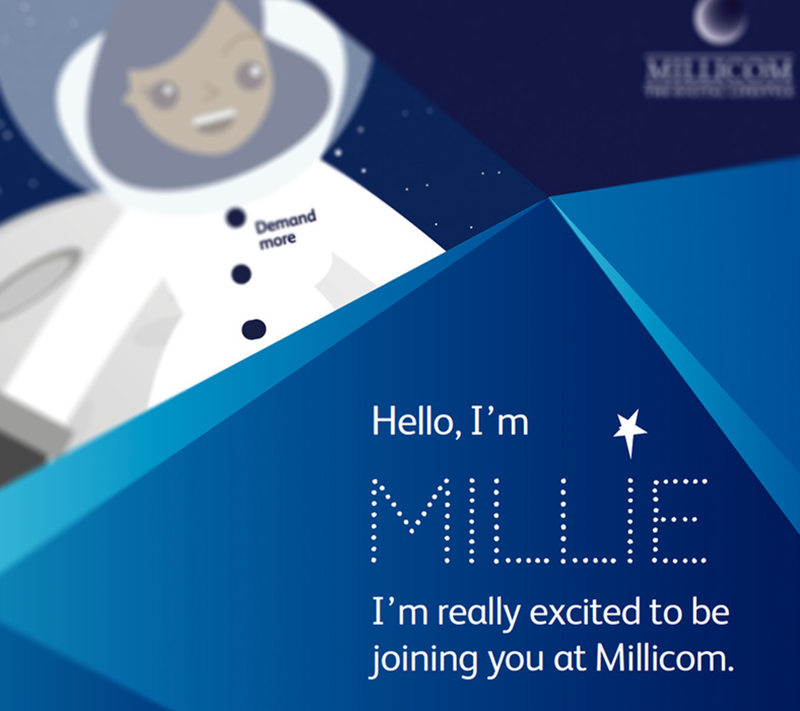 AR is something we’ve cut our teeth on too, once again for Millicom, in much the same way. Turning their sights to attracting top graduate talent from the world’s most prestigious business schools, Millicom needed an exceptional campaign that would not only entice talented graduates into working with them but would also appeal visually and technologically to the younger demographic. Augmented Reality provided the perfect solution. 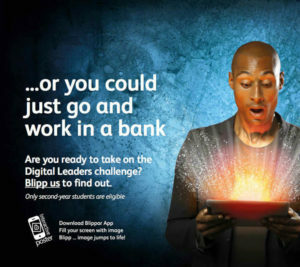 We partnered with the folks behind the Blippar App to breathe life into the visuals we created for the campaign (quite literally). When the user held their phone over the static graphics, the image would animate and hidden extra features would pop up, providing more information, guidance, and advice. This engaged the target audience on two distinct levels whilst also offering a wealth of information that would have been too extensive to include on the static visuals alone. And the results were outstanding – with almost an 1000% increase in the number of applications received for Millicom roles from graduate candidates following the campaign. Find out how we used robust audience research to uncover key insights which helped shape our tactical and strategic communications approach. AR works brilliantly if you have a lot of information to get across. So if you’re working on an expansive internal comms campaign, consider utilising a vibrant suite of different materials – posters, emails, printed newsletters – and injecting them with digital, animated vigour. Perhaps you could create an interactive strategy map and animate the individual sections (goals, values, vision) to spring to life with extra information so your employees are fully clued up. This is more a principle behind creative IC ideas than a creative idea in itself. But there’s plenty of innovative, inventive and creative internal comms ideas that can arise out of a focus on getting employees involved in creating communications – which can go a long way in increasing employee engagement. By allowing employees to create their own content for the new channel, ITV were demonstrating a commitment to the employee experience, as well as putting the bottom line at the heart of the launch process. And the campaign paid off handsomely too – with 93% saying the activity brought the brand to life, and one person even stating that it was their best day at the company! It’s also a good idea to get employees communicating with each other. You could set up an internal blog, where employees from across the organisation post mini updates on what’s been happening in their department that week (this would help to keep remote employees engaged and up-to-speed too). This is something we practice here at H&H with our weekly ‘Hubbub’ newsletter – collated and edited by a different H&H’er every week. Or, during a change programme, you could identify a group of highly engaged employees to lead it from the front, assisting with content creation or recording Vox Pops to provide information and support for their peers. 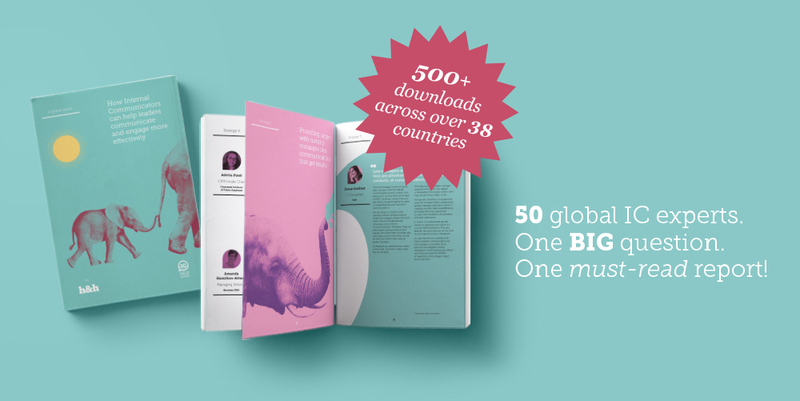 Discover how you can improve the way you manage organisational change in our ‘Changing Perspectives of Change’ IC Field Guide infographic, based on our own research with employees conducted in 2017. 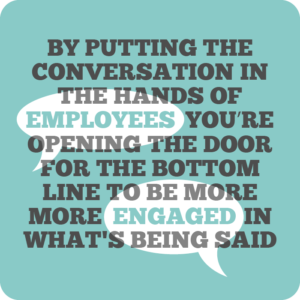 By putting the conversation in the hands of employees, you’re opening several doors for the bottom line to be more engaged in what’s being said (as it’s coming from their immediate colleagues), as well as for a heightened sense of team spirit and camaraderie. 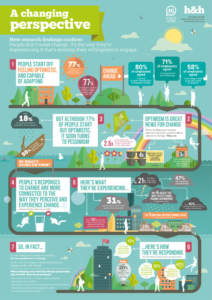 Is there such a thing as being too creative with your internal comms campaigns? Of course, these are just a handful of ideas. There’s practically infinite scope to bring your internal comms to life creatively and innovatively. Check out nowthatsinnovation.co.uk, our own unique website dedicated to collating the most creatively off-the-wall ideas for internal comms campaigns. The key to devising exceptionally creative internal comms ideas is to not just think outside the box – but to cast it aside completely, and never stop wondering ‘how can we make this interesting?’. But we’ll add a quick disclaimer here too. With all the endless creative possibility, it might be tempting to focus on style over substance – creating something which looks exquisite but which lacks any real meaning. If your employees feel trivialised or taken for a ride, your brilliant, meticulous, creative internal comms campaign could come crashing down around you. The medium is the message – but it shouldn’t eclipse it altogether. At the end of the day, what really matters is that the message you’re communicating has the ultimate desired effect on the people you’re communicating it to. Creative internal comms ideas like the ones we’ve listed here can certainly entice, inspire, and engage – just as long as you remember to balance them out with a powerful, authentic, and memorable message! No internal comms challenge is too tough for us. Every day, we combine our unique creativity with a goldmine of strategic insights to deliver internal comms campaigns that delight our clients. After all, it’s what we do best. So if you’re looking to create outstanding internal communications that will get your teams buzzing, or employee engagement/leadership development campaigns that will deliver the right results, we’d love to see how we could help you achieve your goals.